Save up to 35% Daily deals. 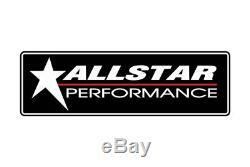 AllStar Performance XR1 Dirt Late Model Chrome Moly Front Bumper. In Stock (1): Ships within 3 days. On the go Daily Deals. Universal XR1 Dirt Late Model Front Bumper by AllStar Performance®. 049 wall chrome moly front bumpers for popular dirt late models offers added strength and reduced front end weight compared to similar mild steel bumpers. Precise manufacturing and high-grade materials. Exceptional performance at a competitive price. Stringently tested with the highest quality standards. 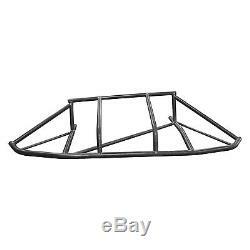 The item "AllStar Performance XR1 Dirt Late Model Chrome Moly Front Bumper" is in sale since Wednesday, May 9, 2018. This item is in the category "eBay Motors\Parts & Accessories\Car & Truck Parts\Exterior\Body Kits". The seller is "carid" and is located in Watervliet, Michigan. This item can be shipped to United States.